Fleetguard Fuel Filters with NanoNet media contains no cellulose and is essentially waterproof. 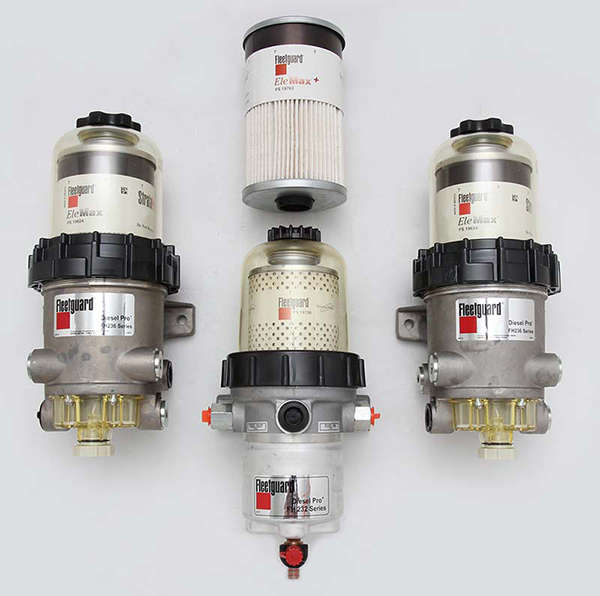 With high effectiveness at separating water from fuel, NanoNet provides three times more protection throughout the life of the filter than the next best competitive product. This gives you more time between service intervals, saving on downtime and maintenance costs. Statistical data gathered by the SAE reveal that 40% of engine failures are caused by the cooling system. Along with the technological progress, water filters will play a more and more important role in the engine.